Submitted by Alexander Briones on Feb. 7, 2019..
91 out of 100. Incorporating 650+ ratings and reviews. 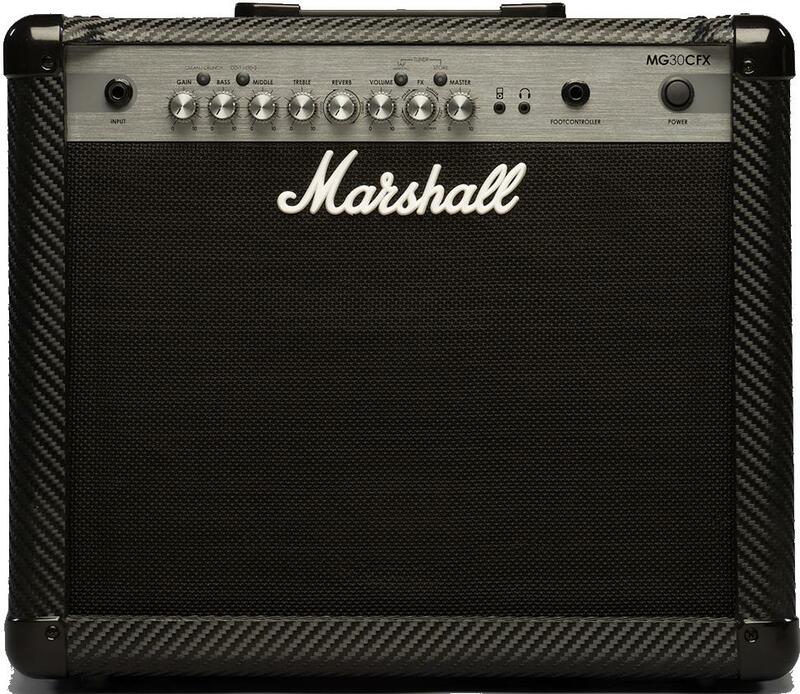 Marshall is easily one of the most recognizable amplifier brands today, used by the likes of Jimi Hendrix, Slash, Zakk Wylde, Eric Johnson, Randy Rhodes and many other iconic guitarists. So it's not surprising at all to find them rating so highly in the entry level, and they did so by embracing digital sound processing while retaining their analog tonality. It may not have as many extras as other amps in its category, but it carries enough to make practice and even small venue gigging interesting. The crowd favorite feature of the MG30CFX is its great emulation of the revered Marshall crunch tone. But it doesn't just stop there because many also liked the OD2 high-gain metal sound, as well as the clean tones, stating that it has a lot of low-end punch. And it also gained a lot of commendations for its ease of use, which is interesting considering that this amp is quite versatile. Simply put, the general consensus is that this amp is a great buy. The limited number of effects, and limited ways of configuring them were brought up by some users. Some also complained about the lack of volume, but since this is meant to be a practice amplifier, this is to be expected more or less. If you're looking for a semi-versatile practice amp that has the classic Marshall rock guitar crunch, then you can't go wrong with the MG30CFX. If you'd like to see further analysis by us, or see which retailers we recommend to buy it from, click here.